I think from reading the Bible my entire life to this point that the numbering system of days-months-years was not GOD's idea; and that HE meant for our lives on earth to be less stressed with time pressures, by setting the distinguishing mark of change to sun-up, sun-down. But humans being what they are planned stress into their own lives when they decided to create calendars and added in their own holidays, feast days, celebrations" to be forcibly observed by most in a country. Now then, having written that, since humans do those things, and designated a "new year's eve" arbitrarily then maybe it could serve some useful purpose instead of massive slaughter on nations' highways from boozed up, dr-ugg-ed glassy eyed partiers; and adulterous men and women looking in places other than home for gratification. YEA, I know that is not popular to write that, but it's the nurse in me. The same nurse that years ago worked in emergency rooms and saw the mangled bodies, and dead on arrivals from such. That ER stint changed my mind forever about NY Eve celebrations. And I think that is generally true for most RN's and MD's--they prefer their families safe at home on that treacherous night. OK, so to get to the point: since the world recognizes a turning point in history today from 2011 yrs after the birth of THE LORD JESUS to 2012 yrs after the birth of THE LORD JESUS, and you want to celebrate that occasion some way, why not do some serious soul-searching of yourself, and see where you fall short of GOD's expectations for your life? Ask yourself : am I doing what I was born to do? And if the answer is yes, then please write a book about it, and start tonight. Or paint it on canvas, or write a song--something so the world knows/experiences it in some way. If the answer is no, then make some committment to THE CREATOR GOD, to become all HE wants you to be. Repent of the sins named in the Bible. Ask GOD to help you start again--be born again so your outlook on life is from HIS viewpoint. Read the Bible for wisdom--it's life little instruction book. And don't model your life after the bad people in the Bible. The only reason they are included is that it also includes their fall from grace, and punishment if you read long enough to get to that part of it. The Bible teaches that the promises of GOD do come true. And that over time, in the 'long run" those who please GOD, prevail; and those who don't please GOD, are punished in some way--for leaders it is removal from power forever, or until they repent; and for really wicked it is death from earth and second death of hell; damnation according to Revelations . I particularly love the King James Holy Bible for its language. I pray that GOD does great and might things around the world this year--removes the wicked from high places and replaces them with those obedient to GOD; & punishes those who kill innocents; rights the sinking titanic of the U .S. ; and gives a 'well done" reward [read Deuteronomy chapter 28, for more on this] to those who love HIM & Obey HIM. 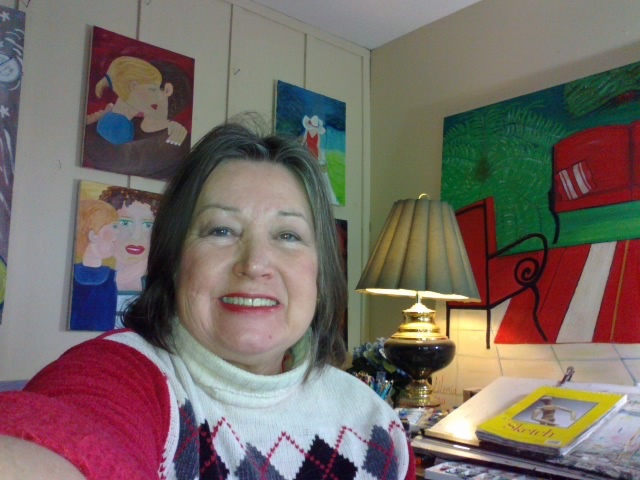 I am writing to notify you that the website : linkedin.com/pub/gloria-poole/44-b6b/b24 is infringing my name and copyrighted created works on the web of paintings, sketches, drawings I paint. 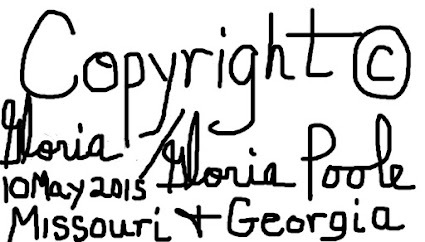 draw/ sketch; and I want you to cease publication of infringing websites using my real born with name of Gloria Poole and that is on websites and blogs including http;//gloriapoole.com; http://gloriapoole.name; http://gloriapoole.info; http://gloriapoole.me. And that was my email written as gloria-poole at earthlink.net for YEARS and was known to hosting companies as such. That linked in site was put up by a cybercriminal trying to ruin me on line to eradicate me from web [by declaring me 'retired' when I am not; and by trying to fool the public ]. My landline telephone is _________ [omitted on purpose] and my google numbers are published on my websites and they are : 5733429117;5733429177l 9142885104; 4045768258; and they fwd to my gmail. If you need to contact me then call me landline number of my cell phones listed on whois info for my sites. And you can send txt to my google numbers but the risk is I don't read email often. So better to call my landline. The goole numbers are intended to be a SAFE way for people from public to contact me about my paintings, drawings [art] and sketches that does not jeopardize my life. My second exhusband whose name was on marriage license and announcement and divorce is "Dana Ben Pappas"[see footnote} and he is most likely the person who puts up fraudulent info about me as he said he would kill me, annihilate my life and steal my paintings to sell them; and he also injured me seriously in July 2006 and has a permanent restraining order against him; and as far as i know lives in Denver Colorado but could be an illegal emigrant from ??? He looks Arabic to me]. footnote: He has changed his name or spelling of it every time he was arrested. Some of his known to me aliases are: "Dana Papas"; "Dana B Pappas"; "Dena Pappas" ;"Doris Parsons"; "Dana Benn Papas"; "Dana B Papas"; "Ben James' ; "Doris Pappas";"Dana Benn Pappas" "dbpappas"; "healing-hands" [he fancies himself equal to a medical doctor but he is only a masseuse] ;"dbpappasfamily"; 'dbp_3"; "dbp_5". No doubt he has added some that are unknown to me since I am divorced from him since Oct 2007, case number 2007dr1338 in Arapahoe County Colorado and that is recorded on state records. He is not me, not authorized to use my name, or email addresses, or telephone numbers; or physical addresses, or log in to any acct of mine, or get info or give instructions on any acct of mine. He is a felon, cocaine-addict [he admitted it in court and mandatory drug testing showed it], a violent, dangerous man according to the Arapahoe County District Attorney in 2006. He was arrested twice for hurting me and would be in prison except he and his "boy friend' paid bribes of $300,000 to ??? according to the boy friend [also in court records since I told it} when he said it to me. This copyright infringment notice also includes my name written as gloriapoole, "g-l-o-r-i-a"; :gloria0817'; "Gloria Poole,RN'; "Gloria Poole" ; "gloria-poole"; "gloria.poole' ; 'gloria_poole"
My Most recent Painting I painted in oils :"the Lawn"
Hopefully, you will see above this text, my photo of my most recent painting "entitled "the lawn", just completed; or sort of. I might in time add "people" [imaginary] to it but for now, it's done. And yes, I know the slates are not even--I wanted it to look as if a homeowner used "irregulars" [not the most expensive pieces] to build his or her patio foundation, and put the grout to accomodate the pieces they had, and not the pieces to accomodate the grout between them. And yes, I know the "vanishing point" is different for the patio 's slate foundation and the jute rug. I intended it to look as if the homeowner was so happy to have laid a patio floor successfully that he or she simply threw the rug into place without trying to line it up with the grout. Also, I have to add that this painting has taken my MONTHS longer than any other painting I painted in my lifetime, because I started it in June, this year, and shortly afterward, a woman in my hometown, unknown to me [but wonder if my 2nd exhusband paid her to try to run over me] drove into me as I was walking in crosswalk, with her van; instantly fracturing my ribs, and I went flying backwards, struck my head on pavement, and have had several months of nearly incapacitating dizziness and headaches as a result. So I am sort of like the imaginary homeowner who threw the rug over the irregular patio--just glad it is done enough to put aside for a while. It sat on my large easel for weeks on end, and I wondered IF I would ever be able to complete it. After that event @ crosswalk, my balance was awful; I could not draw or paint a straight line, I knocked over almost everything [inks, solvents] etc while trying to pick them up, and the first sketch I did afterwards was so dismal I thought my "career" as artist was over. So this painting represents real progress for me, and thank GOD for that. Also, I signed it because in the past 20 years of my painting as artist in oils, there were two other times that I set aside a painting to think on it,let the paint dry some before adding to it, and didn't sign it, and the 2 paintings vanished--were stolen. So now, I sign whatever I consider even "probably finished-not sure" works I create. Also, this is not the "professional" photo of it, but one I took with my cell phone [or one of them--I have several for several reasons]; and I had to rephotograph it three times because the first time it was fractured i.e. split into six components and scrambled all around to look to look like a puzzle by whom??? Cell phone carrier?? ISP??? Google??? Anyway, as always I own the copyright and all rights to all of my paintings, photos, images, sketches, drawings in any form , format,technique, medium of art, style [css, blog, website,album,folder,single image], digitally or hardcopy; whether photographed with my cell phones and or my digital cameras [two so far]; and whether photographed by me or someone who did so without authority. I have never sold the copyright to my paintings, sketches or drawings in pen/inks, pencils, watercolor, etc. 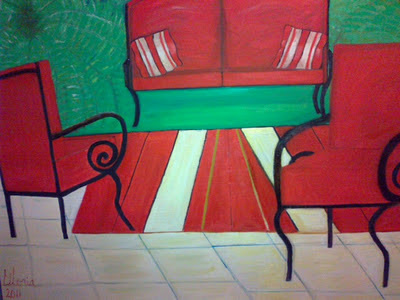 I know that several paintings and possibly some sketches were stolen from me by people breaking into places I had them. It is for me sort of like the imaginary homeowner must have felt after many hours trying to accomplish a reasonably acceptable something from nothing. PS Also, I realize after adding it here it looks somewhat lop-sided! I am not sure if that is because I am somewhat lop-sided when standing from injuries I endured in July 2006, and is simply the photo angle or it is truly painted lop-sided. At any rate, it is what it is; for the time being. I repainted that forward facing chair about 6-7 times to try to make the perspective right so it would look as if someone could walk in and sit it in. And for the record it is 60 inches wide and 48 inches tall; and in oils.And in places it looks like I applied paint with a trowel! Do you have any idea how hard it is to cover lipstick red oil paint after it dries? I have to write this for the isp censors I suppose who since I bought a new cell phone and a new digital camera [while keeping the "old" ones] have tried to prevent me from using them for my own photos and my own blogs. I have photographed probably 10,000 or more times scenes in nature, the Rocky Mountains when I lived in zip code 80203 [from spring 2007-Oct-2009] and flowers, trees, sunsets, stormy skies, architecture,pastures, landscapes, cows; and occasionally people but generally speaking the only people I photograph are my own 2 daughters and their families. I did at one time photograph some for a newspaper and would again if I could. I hate to admit that the injuries caused so much damage to me but it is true. Also for the record, I know/am aware that MANY of the domains with my very name on them, that I ordered, bought , paid for, and created the sites of, were stolen from me by cybercriminals. I realized long ago that the web is a 'dog eat dog' sort of environment with little governance; and that honest people seem to be at disadvantage on it. I have considered "taking my life-works private" by totally quitting the 'net forever; in an effort to get control of my name and created works. I like being generous with my works I create, and like having a way to share them for people to view. But it does upset me greatly when cybercriminals STEAL the images of them, and the accompanying domains I had them on, with the help of unscrupulous hosting companies selling my domains out from under me, while they were paid up and current. Now, of course, since Obama and his political censors have attacked my computers relentlessly since his second campaign started and blocked my online payments through Paypal [while allowing unauthorized persons to try to apply my funds to their causes], I have realized there is no safe way to buy anything on the web with any guarantee of certainty. Political speech is attacked by the democrats often--I am proof of that. Update at 1:14pm: criminals probably the Obama voodoo crew are still breaking into my gmail acct ; probably thinking they are hindering my ability to oppose Obama. Just so you know. To FBI in Kansas City: could you, would you get rid of criminals breaking into my acct from remote???? https://mail.google.com/mail/?ui=2&ik=3a2ab82e24&view=att&th=1345719e80b0bd53&attid=0.1&disp=inlineℜattid=f_gwdojosy0&zw/. Do you notice the 'doj" and the "att" in that? I am not connecting to internet with AT & T! And the Dept of Justice has no legal authority to spy on me since I am a law-abiding U S citizen. IF they would turn their attention to the state of Colorado where known dru-g dealers-addicts violent felons have a 'safe harbor" they would actually be earning their taxpayer salaries; but instead they harass/spy on, break into computers of those who write words against Obama. Labels: "The lawn" oil painting by Gloria Poole; gloriapoole; art; oil paintings; "original works of art"
After I wrote that previous post opposing the Obama plan to promote over the counter synthetic hormones to minor girls ages 16 & 17, there was an invasion of computer, and attempt by probably Obama & Sebelius & or Pentagon [who is the strong-arm for Obama's hacking team] to illegally censor my speech in violation of first amendment liberties, by attacking my google account. I think the invasion into my computer began when I responded via "direct message" to what I now think was a a fake/spoofed twitter handle; and then which seemed to open a back door into my desktop. The fake and or spoofed twitter handle I replied to is "personhoodMD" to a man with display name of "Stephen". Which I realized later after thinking on the wording of the "DM" sent to me should probably have raised some doubt in my mind as to the purpose of it. I know my 2nd exhusband told me when he was married to me in yr about 2004 [divorced in Oct 2007] that he used alias "Steve" on internet sometimes. So I probably shouldn't have responded to that DM. At any rate, here's what happened: 2 files with names "goog.phish.shavar" appeared on my desktop computer, and they or something blocked/ hacked my google account to prevent me being able to send gmail from my acct. When I tried five times to send an email from my acct, I received a cannot send error and there was "att" showing in the url address at the time. However, my landline telephone is not in the service of AT&T. So it seems the cybercriminal was trying to redirect my dsl line to AT&T servers, for their purposes. And it was failing because AT&T is not my isp. However, I do have an AT&T cell phone and the govt knows it because it is listed on my state of Missouri records for my RN license and on one of my twitter accts and almost no where else. So I know Missouri State Board of Nursing does not routinely give out confidential info on nurses, so I reason that the cybercriminal got my info from my twitter acct via a malware "follower" or that "direct message" with phishing payload. I am posting this after having notified Google of those files and after having notified my isp telephone [wired] company; and in order to alert the public to the methods of those with unscrupulous intentions. I have had reason all along to believe that twitter accounts are 'shared" somewhere with those the acct owner has no control over [do they upload or link 'seamlessly" with Facebook, for instance] and no information as to who is "sharing" your acct against your will? And the reason I suspect that is that sometimes "followers" dressed in inappropriate manner and whose goals seem to have nothing whatsoever in common with my tweets, appear as "followers" of mine and every time that has happened, something on my computer got messed up. So to sum up, there seems to be a way for a drive-by cyber-attack via twitter "followers" that is supposedly a passive event to the tweeter but I am convinced is not. Be very cautious in opening any link or DM from suspicious followers. I don't think the state of Maryland [the MD in that personhood DM] has a personhood movement or amendment pending, and I am reasonably sure who ever sent it is a black person because the question was did I approve or agree with the Dred Scott decision which concerned black people and public schools if I remember my history correctly. This is the information I have today on this. Posting here so public knows: "followers" on twitter are not necessarily who they pretend to be; and may include malicious script to hijack your computer. I have known from the very first time I tweeted that twitter is not secure--and does not encrypt passwords etc. But like everyone else probably also thinks, it serves a useful purpose for me if I am ever-vigilant for malware from bad guys or bad girls. I am quoting a former President and I think it was Abe Lincoln who said that there's no right way to do the wrong thing. I am leading into my argument against Levonorgestrel which is generic name w trade name of "plan B". I had to think on this some as at first it appeared Dept HHS Secretary Sebelius had done something good by restricting by executive order the killer drug Levonorgestrel which is a synthetic hormone , which alters chemically the lining of the uterus to prevent the fertilized human embryo from nesting there to grow and get nourishment. She limited it to age 17 to be able to walk into any pharmacy and buy it over the counter like coffee,or any product any Pharmacist in US or "chemist' as known in Europe would sell in retail business. I have written on this topic on one of my twitter accts this evening also, so you could read it there. Obama is crowing about his & Dept of Health Human Services' Secretary Sebelius deciding to restrict similar hormones to prescription only for girls under 16. On the face of it, of course you think, that's smart. But when you really think on it, you see it is a trick --a legal manuevering to LOWER the age of need for a prescription for killer hormones from what was 17 for girls to 16 with new order of Sec Sebelius. Now ask yourself: if hormones are bad for boys and or grown men, why are they good for young girls? Especially hormones that tamper with/alter the uterus with unpredictable future results? Why is the prolife movement across nation falling for this trick of Obama--the worst President in history as far as civil liberties for all, is concerned? Humans in womb must have civil liberties including the right to life, also. It is way past time for this nation to get that accomplished. Drugs that kill are not good for any age. That Levonorgestrel is intended to cause a chemical abortion. It is a hormone with all risks associated with using hormones in the wrong way. And it is a synthetic chemical, not even naturally produced, so what is it made from?? Why is the same nation that freaks out over the thought of fish contaminated with oil, so eagerly willing to accept chemicals that alter a girl's or woman's reproductive tract? And that has HUGE risks of deep vein thrombosis, pulmonary embolus, death?? Explain it to me, because I am a Registered Nurse, with current license in Missouri; and I cannot comprehend how any GOOD parent would consent to giving minors such hormones. I cannot comprehend how any intelligent being on this planet would be persuaded to take such risks IF they knew the truth. Of course the entire tactic of the sponsors of it, the Pharmaceutical companies & Planned Parenthood & Obama make fortunes off killing of those in womb. Killing innocents with drugs is not morally superior to killing them with surgical scapels. "Plan B" is morally equivalent to "Zyklon B" nerve gas that was used to gas to death the "unwanted" jews in Nazi regime in Europe.They are both evil uses of medical science, to produce death instead of life to its unfortunate victims. Don't be deceived by the latest trick of Obama to try position himself as somehow acceptable for next 4yr Presidency. He is NOT acceptable! He is ruining this nation, laying plan after plan to depopulate the nation & take control of even who is allowed to have children. Should the U S government agency set up by Congress to rule over medical decisions ever authorize/approve/rubber stamp a drug that has the intent of killing? I say NO. It is nazi medicine. It is evil. And the age of the unfortunate victim siphoned into abortionists' territory by school-based false doctrines of promiscuity, rampant immorality,accompanied with huge risks of STDs, deep vein thrombosis,AIDS from such ill-advised inappropriate exploitation of minor girls by older men, pharmaceuticals, Planned Unparenthood killers, does not change/ justify the use of hormones to kill. Let this blog be my testament against any drug that kills, against "plan b' =Levonorgestrel in particular that prevents implantation of fertilized human egg, to starve human to death in womb, and against Obama's plan to depopulate & destroy U.S., and against any govt agency deciding who has the "right" to have children and or grandchildren. The Bible says children ["fruit of womb" ] are blessings from GOD. There is no right way to do the wrong thing. U S History records that even the so-called Missouri Compromise that was intended to appease both slave-holders and those wanting to free all slaves, failed in time. Because it made U S a "house divided'. Read Matthew 12: 25-28, King James Holy Bible for what happens to a "house divided" ; read union divided. America, do not be deceived about the goals of Obama and his regime of killing extra-judicially, and of those in womb. He is worst than King Herod of the Bible, because King Herod could "only" [merely] target those already born humans. Obama is seeking to be worst than Herod by preying upon those in the inner sanctum of human existence--in the womb.